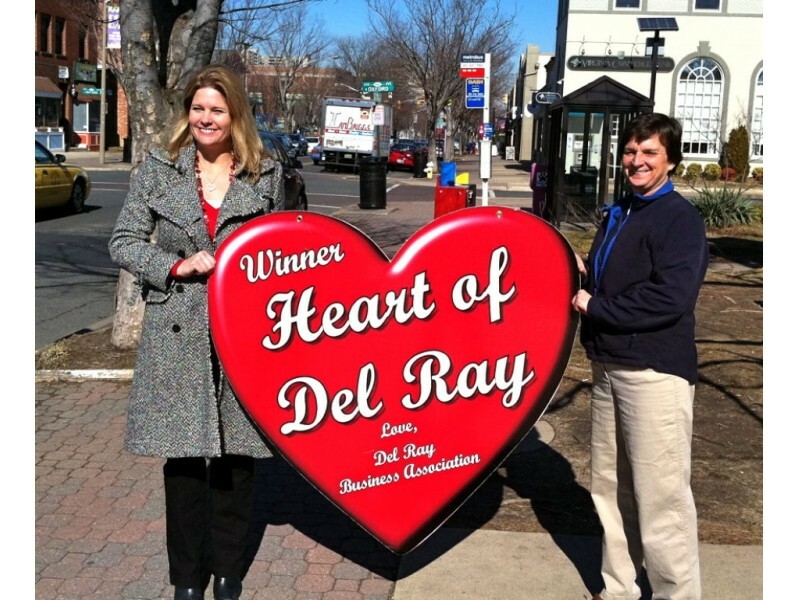 The “Heart of Del Ray Award” is annually presented by Del Ray Business Association during Valentine’s Day to the business that represents the heart and soul of Del Ray. Nominations are solicited via email and it is tough to narrow down the selection to just five. We are excited that you, our neighbors, customers and friends will determine the winner of this prestigious award. Please base your selection on the business that best demonstrates their warm and welcoming attitude to the community/customers, their commitment and generosity to the community, and their overall contribution to what makes Del Ray the best place in the world to live, work and shop! In other words, what business warms your “heart” when you here its name? 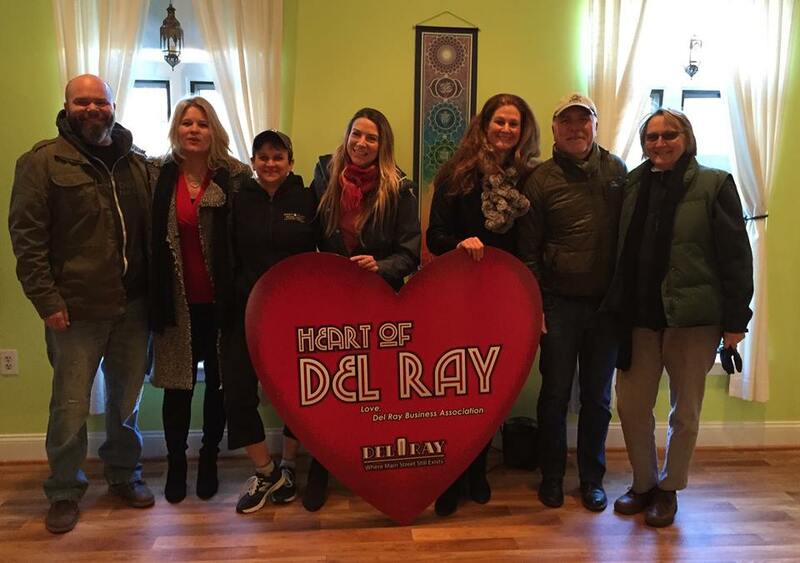 The 2015 Heart of Del Ray presentation to Mind the Mat owners Megan Bellamy Brown and Sara VanderGoot (in center) with previous winners Eric Reid (Del Ray Pizzeria), Bobi Bomar, (Homes of Alexandria), Jen Walker (McEnearney Associates), Serdar Basegmez (Greener Cleaner of Del Ray), and Pat Miller (A Show of Hands). 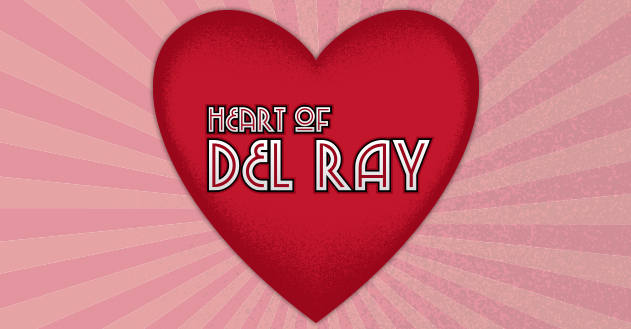 The 2015 Heart of Del Ray was awarded on the morning of February 13, 2015, to Mind the Mat. Owners Megan Bellamy Brown and Sara VanderGoot, from the moment they moved to the Avenue, made sure to get involved by volunteering and sponsoring our many events. They and their amazing team have been instrumental in Del Ray's most successful First Thursdays including Health & Wellness and the Annual Fashion Show. They also hosted for a number of years our visit by Santa for the Annual Tree Lighting. Please stop by and tell them congratulations and thank them for all they do for Del Ray! 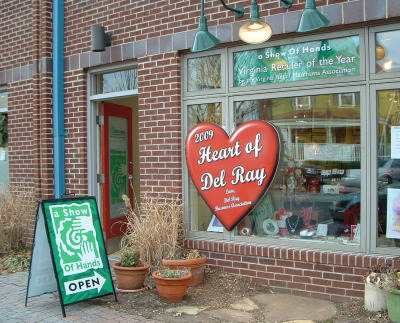 The Del Ray Business Association would like to thank everyone that took the time to vote for the 2015 Heart of Del Ray. We had close to 1,600 voters, which was almost double from last year. We want to congratulate all the nominees as we feel they are all winners, and we are so lucky that they chose Del Ray for their place of business.